UFC chief Dana White believes Conor McGregor's retirement announcement is genuine and not a publicity stunt. The Irishman, who has a 21-4 record, said on his Twitter account on Tuesday morning that he had decided to call it a day and wished his former colleagues well. McGregor previously announced his retirement in 2016, only to come and state he had, in fact, not retired just two days later. But White says this time it is different. "He's retiring from fighting, not from working. The whiskey will keep him busy, and I'm sure he has other things he's working on. 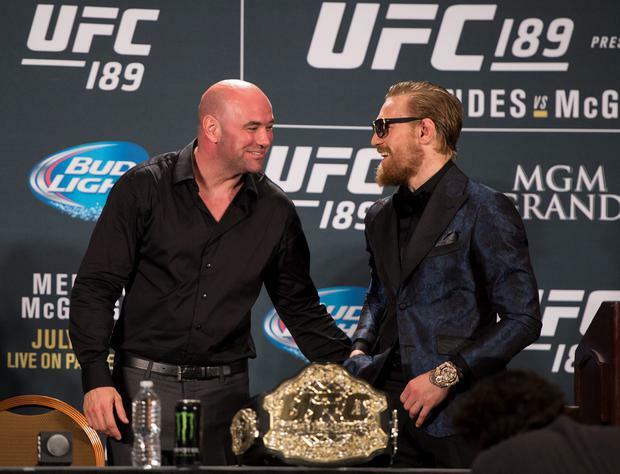 In a statement to MMA Junkie, White added: "We really have never had a bad conversation since Conor has been in the UFC. Only last night McGregor appeared on the Jimmy Fallon Show and spoke about potential upcoming fights. "We're in talks for July. There's a lot of politics going on, it's a mad game, the fight game," said McGregor in an interview thought to be recorded within the last week. "There are many opponents, in reality I can pick who I please. I don't necessarily need to fight. I am set for life, my family is set for life.